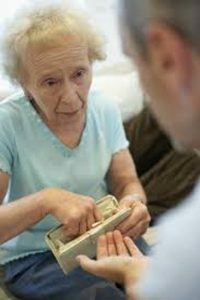 Blog Making Public the Difference Between Elder Abuse Stories in Nursing Homes vs. Elder Abuse and Financial Exploitation in the Community? Elder abuse in New Jersey nursing homes is likely to result in criminal prosecutions or other governmental investigations. Elder abuse within a private home is often not reported and rarely results in a successful criminal prosecution. In both forums, newspapers and other forums are concerned about libel. If the police don’t prosecute and there are no official documents to confirm the abuse, how can newspapers and reporters publish a story without risks of a defamation lawsuit? There is a public perception that nursing homes are not popular and are therefore easy to attack. The same is not true of family abuse of elderly persons. News agencies and others have to tread lightly because of libel laws. However, if it is news from the court docket or from a court case, publications can write what they read and hear. There is a growing number of elderly in the community but a lack of funding for elder abuse services. There are many Elder Fact Books That Contain Statistics – both on a state and national level that are really helpful as are handouts with web site addresses where useful information can also be found. There are many senior coalitions in New Jersey that put out great books jammed with elder statistics every year. One of the hot stories recently that received a lot of news people to cover was the criminal trial of Brooke Astor’s son. That is certainly a shining light on elder exploitation, dementia and guardianship abuse. You’re apt to get more coverage of elder issues if there is a high percentage of elderly in a newspaper’s area of circulation. Contact me personally today to discuss your elder abuse and/or financial exploitation matter. I am easy to talk to, very approachable and can offer you practical, legal ways to handle your concerns. You can reach me toll free at (855) 376-5291 or e-mail me at fniemann@hnlawfirm.com.